Sonic: Wa-WHAT?! :O what happen to my body?! 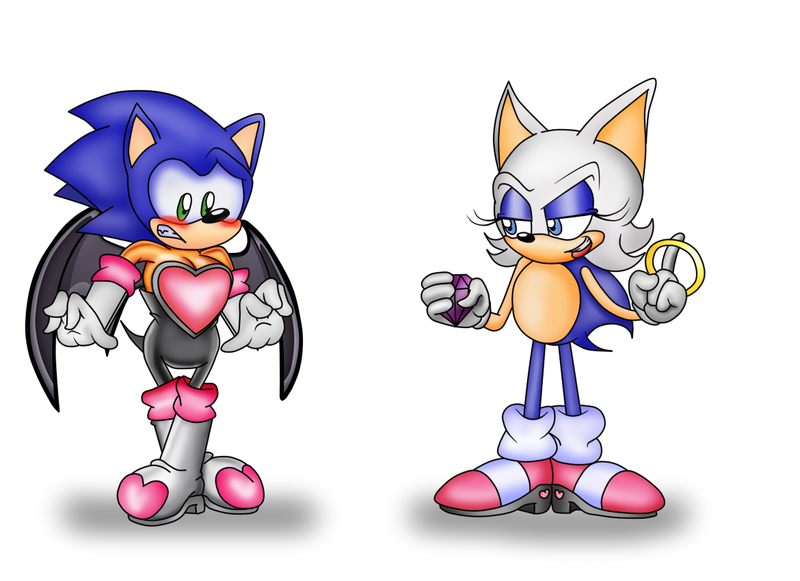 Rouge: Don't you like it? Sonic: Y-you got to swap us back! !